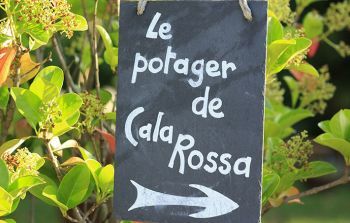 At Cala Rossa, gastronomy is a four-hand art, headed by Chef Pascal Cayeux and assisted by Sébastien Chauchat. 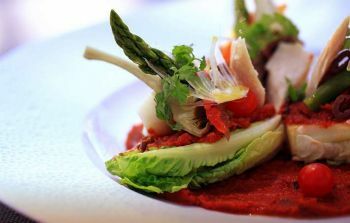 This powerful and talented duo is keen on reinventing daily new delicious recipes, inspired by the Mediterranean cuisine and their morning pick at the hotel’s private garden. With a success recipe of their own : authenticity, seasonal products and simplicity. For three decades now, Francis Péan’s delicious deserts have seduced the most demanding palates. He really loves his island and selects the best ingredients with the utmost attention (honey, citruses, hazelnut) and takes his inspiration from the hotel’s herb garden.